Freeman Academy is committed to making quality Christian education affordable for families, regardless of their financial situation. We realize tuition is not one-size-fits-all. 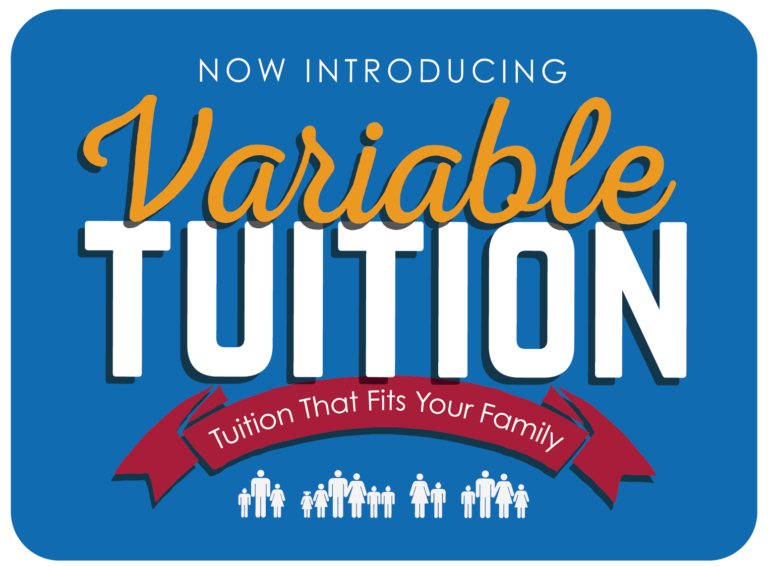 Variable Tuition customizes the tuition amount to each family’s unique situation: finances, number of children, single parent, etc. Who can apply? Prospective or enrolled families unable to pay full tuition. What is the timeline for Variable Tuition? April 30 Deadline for current Freeman Academy families to complete TADS. July 15 All families receive their tuition recommendation for the next school year. *Variable Tuition is available for new families enrolling during the school year. Enrollment Director Lynnelle Allison will explain the mid-year process. Tuition includes: the cost of instruction, textbooks, science lab materials, field trip and sports transportation, choir and band formal wear, yearbook, athletic uniforms, computers/tablets/laptops in classrooms and available for students to take home. Tuition for the next school year is set in February. Items not included in tuition: music lessons, special tutoring, athletic team shirts for casual wear, and lunch. Freeman Academy participates in the National School Lunch Program and provides free and reduced lunches for families who qualify. NSLP applications are provided during the application process. What about transportation fees? Variable Tuition can extend to fees for the Yankton shuttle. That will be determined on a case-by-case basis.